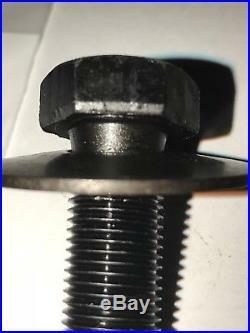 Replacement blade mounting kit for King Kutter RFM Series Finish Mower. 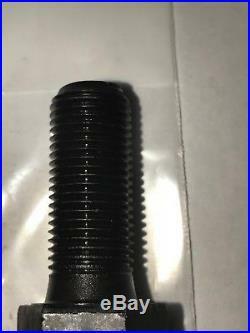 This listing is for three (3) 1/2" X 1-1/2" Left Hand Thread Bolts with Concave Blade Mounting washers, a full set for your mower. 1/2" Diameter X 1-1/2" Long. 1/2" Concave Spring Washers that are 1.50" in diameter. We sell replacement blades, belts, wheels and more for most brands of finish mowers. We are listing new items frequently so please check our store often. 851 Old US 52 Building 7 Ste 33. Personal check orders will be held until check clears. Your complete satisfaction is important to us, should you have and problems please let us know so we can correct them. If you have any question about the part you need, please call first we will be glad to answer your questions. All parts are guaranteed to meet with your approval! 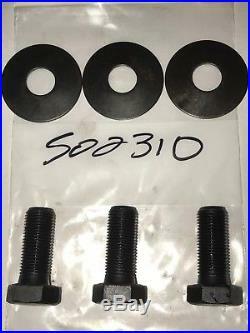 The item "King Kutter Finish Mower Blade Mounting Bolt Kit 502310 (3 Bolts & 3 Washers)" is in sale since Wednesday, February 07, 2018. This item is in the category "Business & Industrial\Heavy Equipment Attachments\Mower Decks". The seller is "ag_medic" and is located in New Richmond, Ohio.